Inventory is very low, so your competition is less, and if you price your Fishers, IN home well, it will sell! Here are some tips to have your home looking great this upcoming fall selling season. Don’t forget about the lawn. 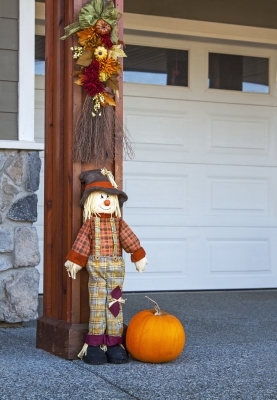 Keep your property well-maintained, even in the fall. Continue to mow the lawn as needed and rake up the excess leaves. Make sure the walkways are clear of any leaves as well. Don’t worry about needing to rake daily, colorful leaves look beautiful in the fall, even on your lawn. Just make sure it’s not overdone or cluttering your walkways. Get seasonal. Add some fall-themed decorations and plants. Since not much is blooming in fall make sure to add some color in the way of seasonal decor and plants. A nice harvest wreath or some pumpkins and mums can go a long way for curb appeal. Maximize light. Open all blinds and turn on all lights for every showing. You want each room to be as bright and sunny as possible. The less-intense sunlight of fall may make it necessary to upgrade your interior lights. Even a lamp here and there can help brighten up a room. To maximize the sunlight, make sure your windows are sparkling clean. Contact a Real Estate Agent. The most important step of selling this fall – meet with a Fishers, IN real estate professional who can show you the supply conditions in your neighborhood and assist you in gaining access to the buyers who are ready, willing and able to buy now! Please contact a Fishers, IN real estate agent if you need any assistance!